Gary Hack and Nigel Robinson decided they wanted to run their own Guest House business and started to look for a suitable property. They had no idea how difficult it would be. 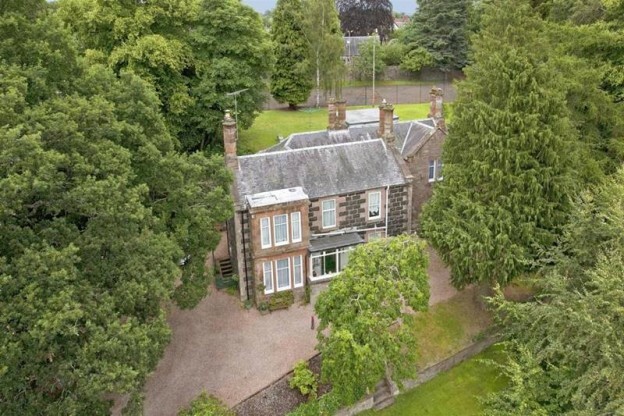 After looking at a number of properties, they eventually found, and fell in love with, Ivybank Guest House in Blairgowrie, Perthshire. They were very excited and approached a number of lenders directly who felt that their business plan was not one they wanted to support due to lack of current successful trading figures. Obviously this was very disappointing to Gary and Nigel but, instead of giving up on their dream, they contacted us at Stewart Hindley & Partners to see if we could help them. We were happy to look at the accounts and details of the property and determined that the trading figures at Ivybank were not great. The current owners had decided they wanted to retire and were operating the business to suit their personal circumstances which meant that the full trading potential was not demonstrated. This provided a great opportunity for Gary and Nigel to purchase a business that had good potential in a prominent location; however, it did provide a challenge with regard to finding a lender that had appetite for the deal. At Stewart Hindley & Partners we work with a number of specialist lenders who are not “high street” names and were certain that we could not only get the finance required for the purchase but could also secure a reasonable rate. By presenting a compelling business case to the lender and supporting our clients we eventually got a successful conclusion! Gary and Nigel have just taken ownership and are now open for business (June 2016). They have great plans for Ivybank and have launched a new website which is, and will continue to be, a great showcase for their refurbished rooms and event ideas. Nigel, who is also a chef to trade, will be offering evening meals for guests and non-residents and there will be a number of interesting events to look out for including Tea Tastings (where you can sample a range of different teas). Ivybank has been rebranded as Ivybank Lodge and I am sure will be a great Scottish B&B to stay at when visiting Perthshire. A warm Scottish welcome is assured. Both Carol Jones and Chris McDonagh at Stewart Hindley & Partners were instrumental in helping us achieve our dream of owning a Guest House business in Perthshire. With our determination and their expertise, against all odds, the ultimate goal was eventually realised. Carol and Chris took us step by step through every process in dealing with our lender and even went out of their way to help us find a solicitor and insurer! It is fair to say that we had a rollercoaster journey with high street lenders prior to dealing with Stewart Hindley & Partners. If we had dealt with them from the start, our journey would undoubtedly have been so much smoother. It is testament to Chris and Carol’s belief in us that our business is the success that it is. We would have absolutely no hesitation in recommending Stewart Hindley & Partners to anyone else embarking on a similar lifestyle change. We would like to take this opportunity to formally thank Carol and Chris for getting us to our final destination.